Shaving used to be a manly right-of-passage, even dangerous before “safety razors”. 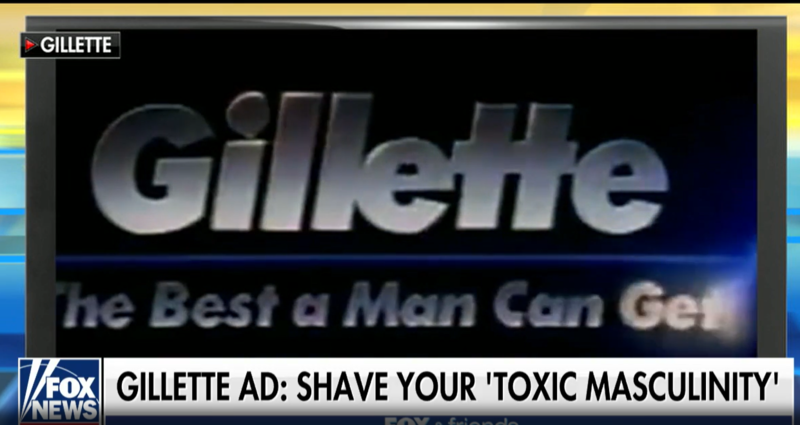 Now, according to Gillette’s new ad campaign, we’re supposed to contemplate the ills of masculinity while we groom. I guess in their mind, we need to trim manliness along with the whiskers. Sorry Gillette, that’s not happening at my sink. This business of “toxic masculinity” is not only broken logic, it sends the wrong message to our boys. It assumes men by default are abusers in need of re-education. Based on what I’m observing, the result isn’t going to be progress, but a generation of frustrated pansies. No, that isn’t politically correct language, but can we agree that enough is enough? Our boys need to hear the truth. They need to know that rugged men fought for, protected, and continue to secure our way of life. Confused, apologetic men didn’t storm the beaches of Normandy, real men did. The West wasn’t settled by timid guys unsure of themselves, real men struggled through the challenges. Bullies aren’t defeated by fearful negotiation, but by those willing to take a punch and give one back. Generations of boys were once taught these things at church, in school, at the barber shop, on grandpa’s porch, and many other places where older men mentored young men-in-training. If you have a son, grandson, nephew, or student, please don’t be afraid to tell them the truth. Our culture needs you to. God designed men to be strong, courageous, loving and defenders of biblical truth…no matter how uncomfortable it makes those trying to advance a lie. This entry was posted in Christian Life. Bookmark the permalink. 3 Responses to What’s with the Razor Burn? Amen and amen. What’s toxic is this incessant emasculation of true manhood. “Man up” used to mean something positive, encouraging, challenging. This sick, upside down western culture we live in is masculizing (if that’s a word) womanhood, and feminizing manhood. You can see it in entertainment, movements like this, politics, etc. I’m sick of it. Agreed my friend, unfortunately true indeed.